Get the job done right. Reviews you trust. 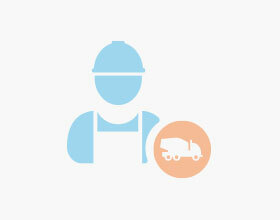 Read about paving companies and find the right professionals. Didn't do a good job cleaning up. Left dirt and garbage behind. Horrible company and horrible workmanship. Was promised HL3 and received HL8. 4 sunken areas of asphalt after only 4 months. Unsurprisingly JP Paving hasn't answered and calls or warranty requests. Better business bureau has this company flagged. Too bad I never checked before I used them.